Video Production | Angel Eye Video Productions, Inc. It begins with listening. We want to understand the essence of your organization and your vision. Then we offer solutions tailored to your unique message and audience. We help develop concepts, ideas, and even help write the scripts. Whatever your video may need, we can handle. From actor auditions presented online, location scouting, props & wardrobe, to schedules and shot lists, everything is well prepared to ensure the shoot goes smoothly. Whether you need a small camera crew to capture your event or a full-blown production with a lighting truck, stylist, make-up artist, DP and director, we have you covered. We’ve shot a thousand programs big and small. All effective programs have beautiful design. Form follows function; your culture, your goals and your audience will inform the choices of layout, fonts, colors, look and feel. Everything works to communicate your style and your message. Hours of footage become a short, sweet, powerful program. Whether you have a tight script with shot by shot direction or hours of interview footage that needs to be condensed to a concise, convincing message, our experienced, professional editors are ready to make the most of your footage. Once the overall look and style has been designed and your primary shots have been selected, it’s time to add the polish. Using advanced Motion Graphics software and techniques, your video comes alive. Amid the beauty, your message shines through. Your audience is inspired. A well crafted video pays for itself many times over when used to promote a business or sell a product. We create video spokespersons live on your website! By running video clips of actors, spokespeople, or company representatives you can create a visual connection to anyone visiting your site. Our online streaming videos create a compelling delivery environment where conversions are important. St. Louis Video and Photography for Frontenac Surgical Center. Photographic Images from this shoot were utilized for marketing and publicity. 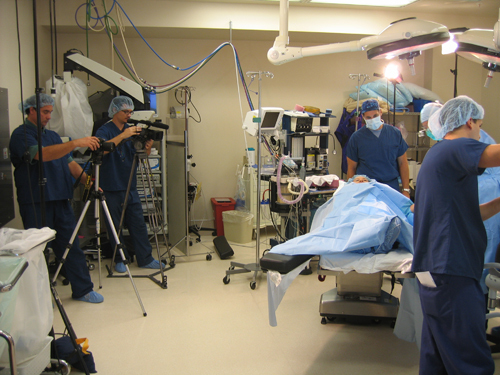 Video footage was edited to create a marketing video and a patient waiting room video. Mike Haller, Director and Rob Haller, Producer. 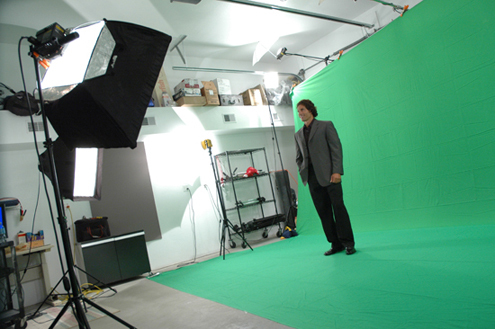 Besides the hard cyc green screen in our studio, we have a portable green screen video for the web or television that can be taken to any location. 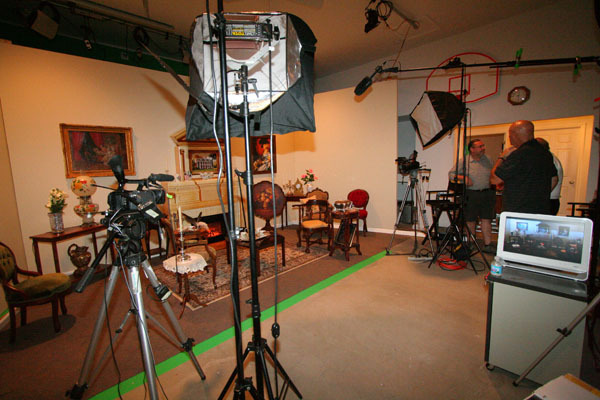 This is the set for the Uncle Tom’s Cabin studio taping. The set was built specifically for the production but the observant viewer can see the underlayment green screen background on the floor. St Louis Video Production and Editing – Working Women’s Survival Show – StL Web Video. We have been very fortunate to be a woman owned business and have been loyally supported by other woman owned businesses and organizations. The Working Women’s Survival Show has been a loyal customer and we are proud to help them in their web marketing and advertising video productions. The St Louis Video Crew included: Dave Topping, St Louis Video Editor; Mike Haller, St. Louis Videographer; Shari Haller, St. Louis Video Producer, 314-892-1233.